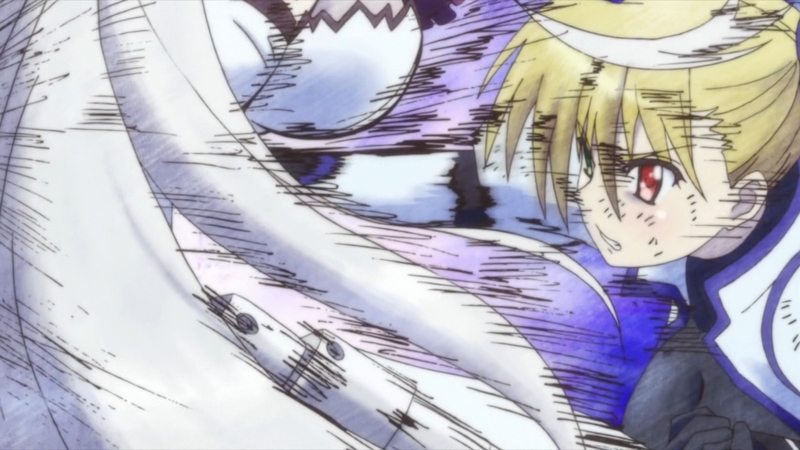 I have to say it was surprising how fast we actually got to Vivio vs Rinne. I didn’t expect that until the very end of this one or part way through episode 8. They are not wasting time in this tournament. Sure it was only the last quarter of the episode, but that was more fight than I thought we would get this time around. I’m curious how long things will go between Vivio and Rinne next week. It probably will be only half the episode at most or perhaps only the first quarter of the episode. No telling though until we actually see the episode next week. Since that fight will likely wrap up early in episode 8 that leaves a lot of time for the other matches we are expecting in the remainder of the show. I have to admit….Ix’s healing powers are OP as all hell. Fractures!? I don’t think Miura had fractures from the image I used last week. Rinne obliterated Miura’s ribs with that attack. Ix has incredible powers if she can actually restore completely destroyed ribs to the point that there are only small fractures remaining. Although if she can heal that unbelievably well…why are there fractures left? The only thing that comes to mind for me is that her magic pieced the shattered bones back together. Picking up all those little pieces of bone and putting them back in their proper shape. But doing that would still leave fractures and weaknesses in the bone from where they were broken. So it will take a while for those numerous little fractures to heal and thus leave Miura in a state of perfect health again. One good thing you can say for this episode is that it both gives Miura’s loss weight, but doesn’t drag you into full depression. Miura is sad she lost and of course she is. Anyone who is competitive and loses a match will feel bad about it. Miura probably feels like she threw away victory by getting unsettled by Rinne’s durability. Rinne psyched her out and Miura probably threw away a match she could win. I’m glad Vivio jumped in to gladly take the torch for Miura and it shows their friendship. 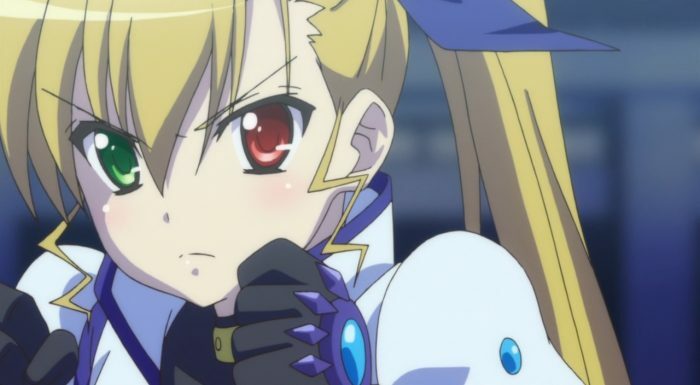 It hurts for Miura that she couldn’t have the official match with Vivio she wanted, but such is how it goes. At least she’s going to recover relatively soon. There was a lot of good in the aftermath of that fight though. Rinne’s regrets were short-lived but necessary. I fully expected her to get over it. However, I also expected her frustration by the fact that she couldn’t keep her word. 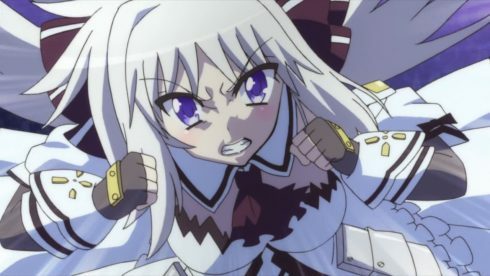 Rinne wanted to win that fight in a certain way and she couldn’t. That fight was in some ways a failure since she had to use the grab to win. That Rinne was unaffected by the fact that she nearly killed Miura reflects her mindset. She doesn’t see much past her own desire for strength. 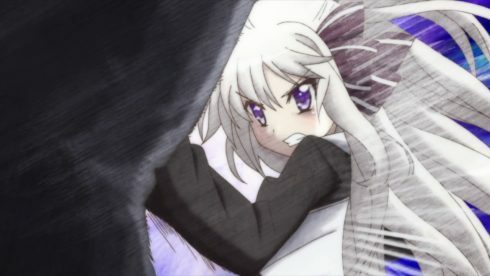 Of course Rinne has suffered and struggled for the strength she has attained. She did say during that fight with Vivio that she has pushed herself against her limits constantly. Only her emotions regarding that day kept her going forward. She has used the past and her pain to push her body as far as it can go. 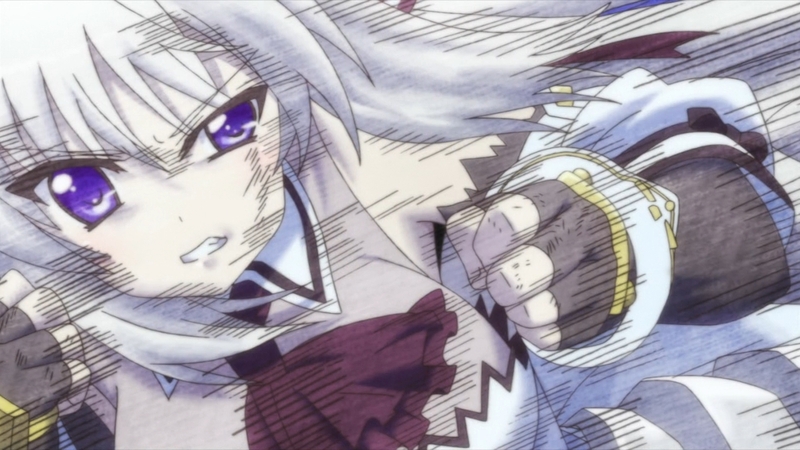 That has helped her get stronger….but only to a point. The problem is that Rinne doesn’t understand where she’s going wrong. 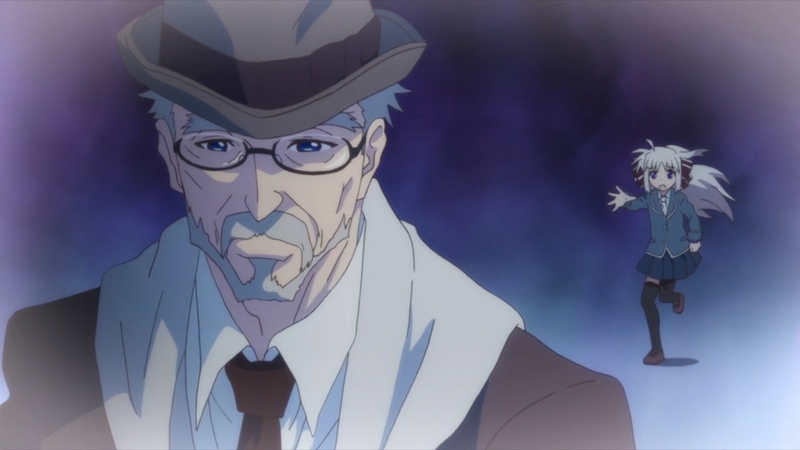 The dream of her grandfather looking sad and constantly being out of reach…she can’t understand it properly. She can’t catch up to her grandfather because her past chains her down. 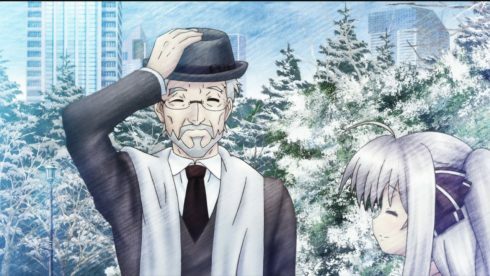 He’s unhappy because Rinne herself hasn’t stopped suffering since that day. 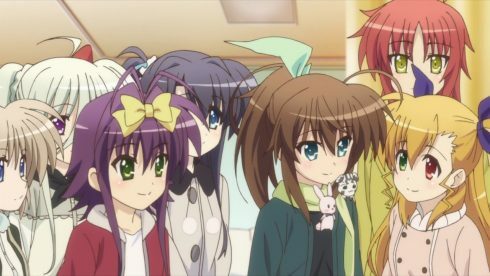 Rinne doesn’t see that her self-destructive path only makes those who care about her worry even more. And she even fails to see that all she’s doing now is hurting the kind of good people she wants the strength to protect. 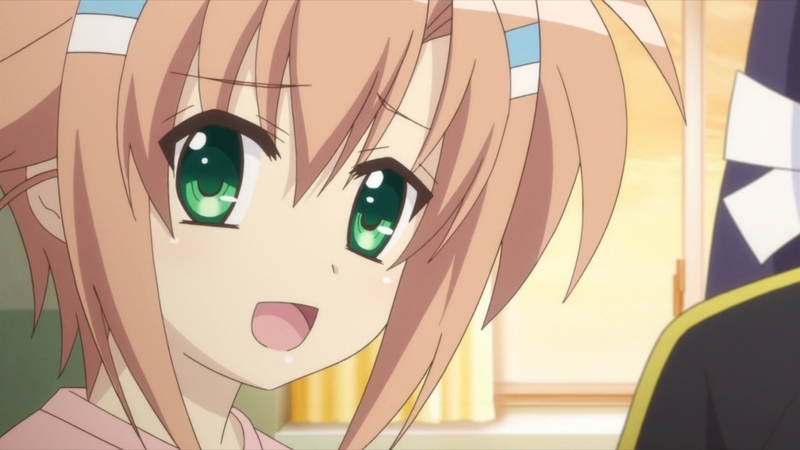 What I really enjoyed though was seeing Vivio go into main character mode. Now I do fully expect her to lose. She doesn’t have to for the story to work, but I just see them playing this pretty straight forward. 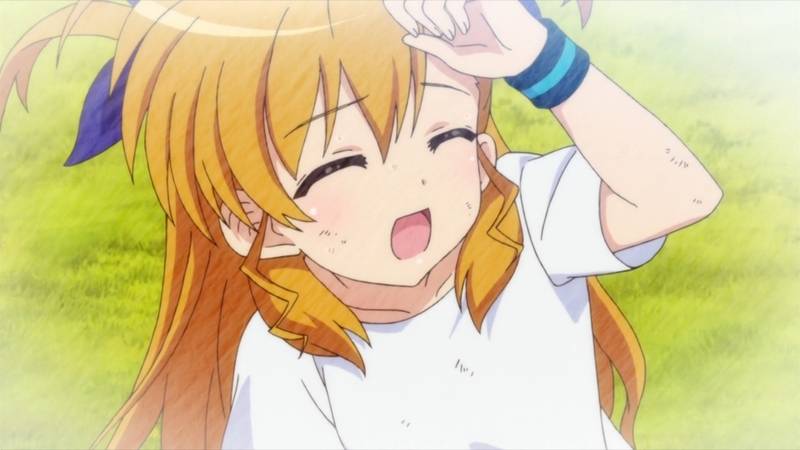 What I love though is that they managed to make the emotions work to the point that I want to see Vivio win. 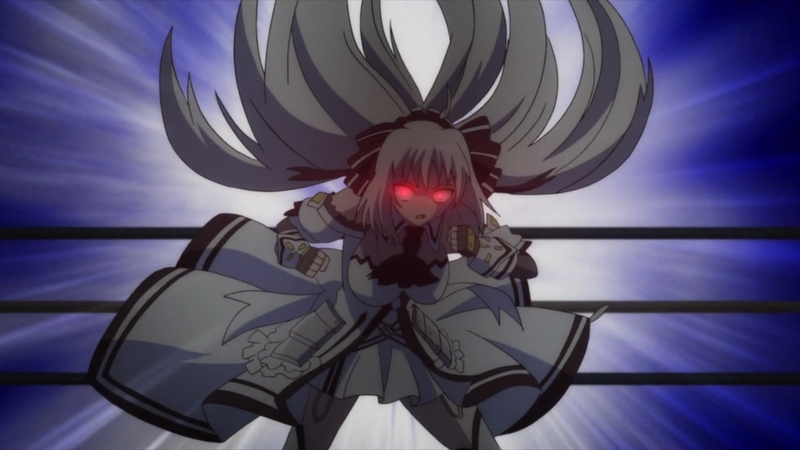 Despite Fuka being the main character, this shows why Vivio is the main character of the Vivid manga. 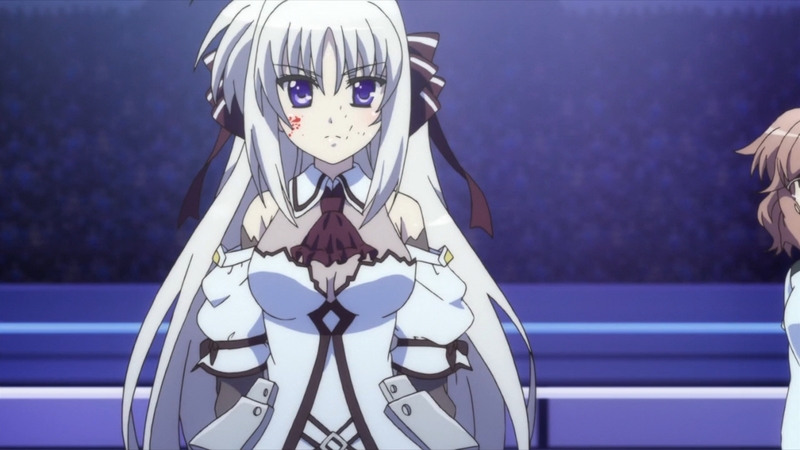 She is very much like Nanoha in still reaching out to someone in pain and trying to befriend them. Even after what happened with Miura she’s still reaching out. 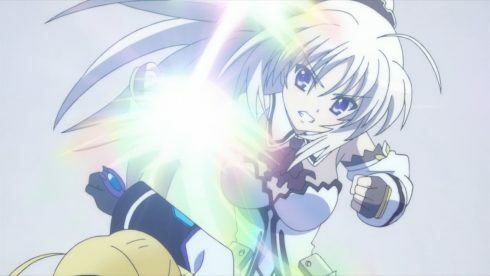 Vivio knows that Fuka is probably the only one that can get Rinne to open up her heart, but she’s still going to fight. She’ll fight to win, trust Fuka can fight and win, and finally they can become friends. Of course someone reaching out in friendship during a fight might be something Rinne just can’t comprehend at this point. And probably this will lead to a blind rage that gets Rinne a win. 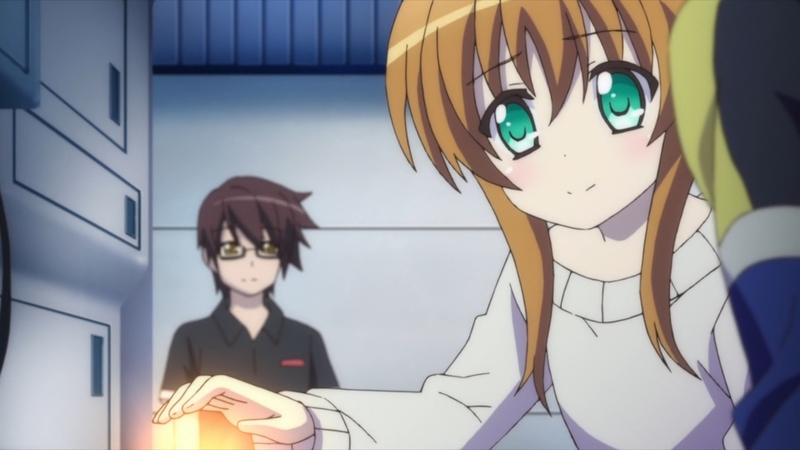 What I did love though was seeing the truly pure heart Vivio has. 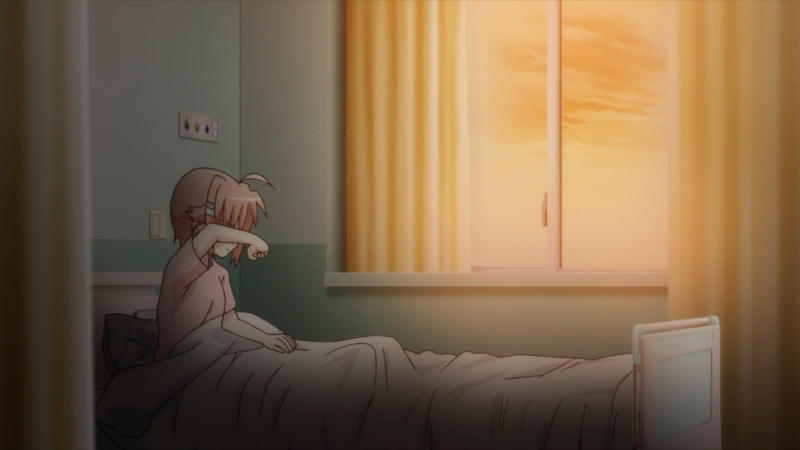 She understands Rinne is hurting and she understands that she doesn’t truly know Rinne. But at the same time she’ll give everything she has and try to come out on top. 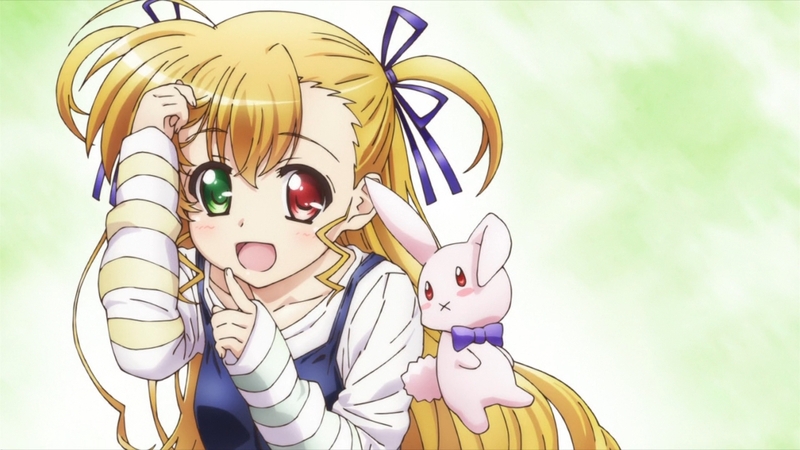 Because Vivio wants to be Rinne’s friend and she does truly love martial arts. 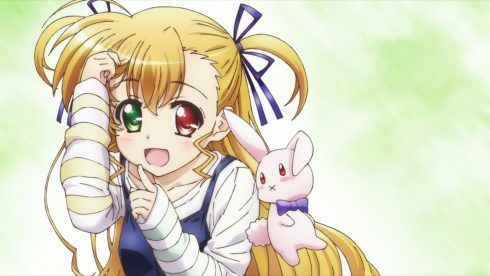 The great thing with Vivio is that she isn’t a perfect character. The show makes a good point that in some ways her body doesn’t have the natural affinity for this sport. No matter how hard she trains her durability is very low and she has to rely on her device to cover that. Her only way to win and be competitive is to be a counter fighter. Avoid as many attacks as she possibly can and deliver devastating counter shots. What Vivio has that Rinne lacks is a strong heart and a love for what she is doing. Rinne put in an incredible effort to gain strength. But it was effort dripped in pain and a haunting memory. Vivio put her effort into it because she loved the sport. Honestly I’d be thrilled if Vivio won. The promise lets them have a Fuka vs Rinne fight. So they can do that. But I still expect Vivio to lose. I just hope it’s a close one. Maybe Rinne wins 2 downs to 1 or something. 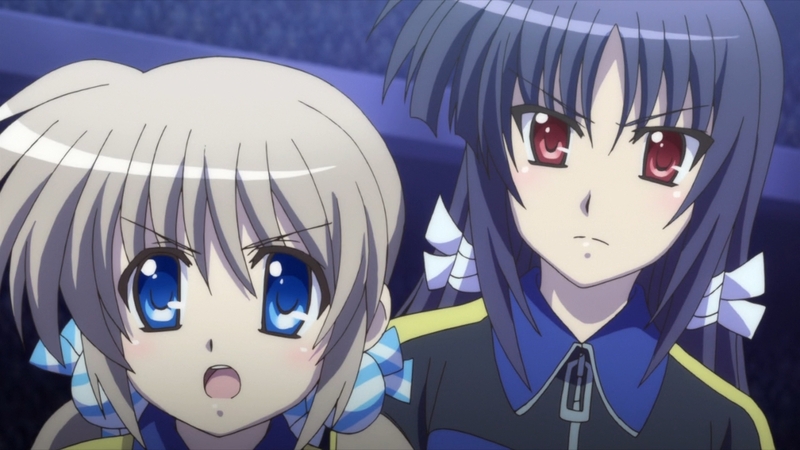 That still allows Fuka to take on Rinne with the 5 episodes we have left here. Fuka vs Rinne can be a big thing and still allow for a likely Fuka vs Einhard battle to conclude things. Regardless I’m excited to see how this will turn out.